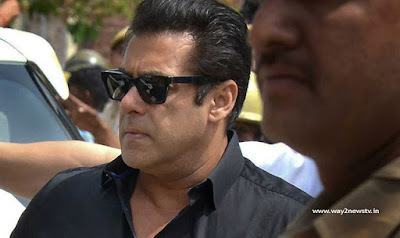 Jodhpur court today sentenced actor Salman Khan to five years imprisonment in the case of Krishna Deer. In addition, a fine of Rs. Salman Khan had a chance to file bail if he had been jailed for two years. Chief Judicial Magistrate Dev Kumar Khatri has been sentenced to five years imprisonment. In the case, Salman was convicted by the court and the remaining accused were acquitted. In the same case, the judge has declared the judge's innocence to Saif Ali Khan, Sonali Bendre, Tubu, Neelam, and Dushyant Singh. In this case, 28 people were introduced as witnesses. Salman can challenge the Rajasthan High Court, but there is no possibility of immediate bail. He is likely to be released when the Rajasthan High Court is staying on execution. Salman was sent to Jodhpur jail after the verdict was issued. In October 1998, Salman and others were allegedly hunted by Krishna's deer near Kankani in Rajkot. Under Section 51 of the Wildlife Act on Salman, the accused was charged under section 149 of the accused. The case was closed on March 28 this year. This was the case when the stars were in the production of Hum Sath Sath Hai.